Juan-les-Pins is on the coast of the French Riviera next to Antibes - the two resorts together are often referred to as Antibes-Juan-les-Pins. The resort is on the north-west side of the Cap d'Antibes peninsula (home to many rich and famous people, hidden away in grand villas up the wooded hillside) while Antibes is to the north-east. 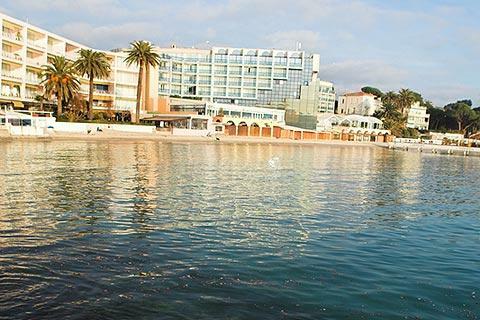 Much more recently developed than Antibes, it's eastern neighbour, Juan-les-Pins became popular in the early decades of the 20th century, and during the 1920's played host to many celebrities, Ernest Hemingway and Charlie Chaplin among them. 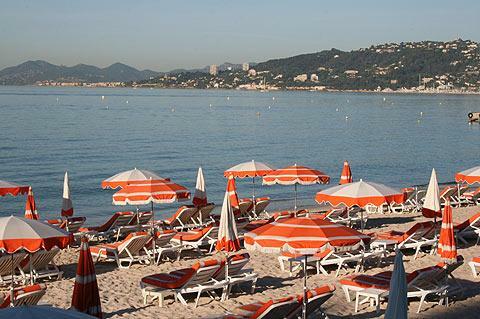 The popularity continues to this day, and Juan-les-Pins is a very lively summer resort, with beach and sea related activities during the day giving way to the nightlife in the casino, clubs and bars - and in the streets - late into the night. While Antibes offers more of historical interest to visitors, Juan-les-Pins is better known for its beaches - the small Plage de Gallice and Plage Epi Hollywood beaches are both in the centre of Juan-les-Pins and very popular (although large sections of the beach are also private), with the longer main beach a little to the west. There are several restaurants on the beach itself in the centre of Juan-les-Pins, which is backed by various apartment blocks and hotels. Historical note: it was at Golfe-Juan near Juan-les-Pins that Napoleon landed when returning from his exile to Elba prior to retaking control of the government - and his subsequent defeat at Waterloo. 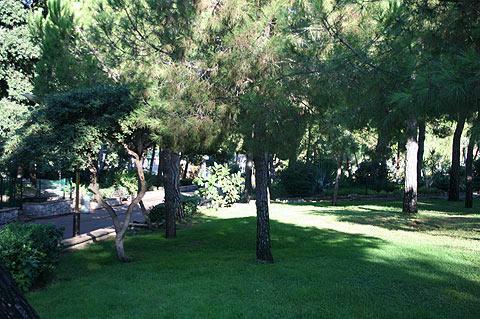 The beach area below the pinede forest and Palais de Congres plays host to a jazz festival (Jazz à Juan) held here during 10 days in the middle of July each year - the festival has been taking place for more than 50 years. The festival is the second most important in the world in the jazz calendar and over the years has attracted almost every recognised jazz musician from Louis Armstrong and Count Basie and Duke Ellington to John Coltrane and Sonny Rollins. You can see some of their handprints preserved forever near the stage area. Juan-les-Pins is on the riviera between Nice and Cannes: these two important towns are both recommended and there are also numerous other hill villages and smaller resorts in the region.